I saw so many guys searching for a better craigslist alternative. Although, it is a simple open-source platform it has some problems like force refresh problem, DNS problem, etc. Well, Craigslist was originally a private American classified ads company founded in 1995 by Craig Newmark. By 2000s it spread all over in the United States. Presently, the site is providing its services in 18 major languages. Craigslist covers around more than 800 cities in 70+ countries. By now, as per Alexa Inc. Craigslist is getting more than 20 billion page views per month which let it to 121st rank worldwide and 20th in the USA. So, after a lot of research and I ranked some top best alternatives to Craigslist which you can move on. So check them out and leave your thoughts in the comments in the comments box. The Facebook marketplace is one of the best alternatives to craigslist. As Facebook has around 2.3 Billion active users so what I think, you got a huge number for its marketplace. Well, there are so many cons of using facebook marketplace as the account is associated with seller’s FB profile so you can cross check to decrease your chances of any fraud, the trade speed, just contact the dealer what you want, get the details and that’s it. Several other features like as you can directly contact the seller so you can discuss payment terms and warranty, etc. you can check out your buyers and seller, get all your saved items at one place, there are featured groups also present on FB marketplace like Home shopping, Buy and Sell, and hundreds of others. But at last, there is a disadvantage also like there are several fake products posted, no buyer protection, no rating system, etc. Hoobly is also a great alternative to craigslist. The UI is much similar to craigslist but unlike craigslist you need to signup for replying to the thread but as you can browse craigslist although detect VPNs or proxy but you don’t get the contact details. But on Hoobly, you can easily sign up and reply. At last, there is a con of using Hoobly like no buyers protection, UI has ads and like the FB marketplace classifieds may be fake. Oodle has not its own classifieds service but it aggregate posts from other other classifieds which makes it so powerful as we don’t need to find on several sites for a product. You can also sign up by social accounts, make free ads and that’s all. In simpler words it’s amazing. The interface is user-friendly. You can find vehicles, real state, jobs, services, community, pets, and hundreds of other products on sale. You can send a mail without any signup. You can save a listing, apply for jobs directly on the website, the filters are awesome, check a car-price index, you can set a search alert, and several other great features. I seriously can’t find any con of using GumTree except its ads. Letgo is somewhat better than FB marketplace but it may have the same ad posted several times (see attachment). But it is useful as you can directly interact with the product, discuss all the terms man to man. It also has a mobile application available for both Android and iPhone. Ads globe is also one of the best alternatives to craigslist. It detects your location automatically and shows ads for that location. You can post as many as you want for free. Locanto has a huge category of products. You can browse any product, get the contact details, and even reply to his ads without an account. You can post ads free, follow a user, share an ad, etc. Locanto also features a pro account by which you can check the online status of the seller, instant notification about new ads, ad-free browsing, see followers, get a premium label, you can comment on a user feedback, also send images that’ll disappear only for a short time and even delete a rating every month. Finder master is not as vast as the others but it covers 100+ countries. You can post ads free on findermaster. Unlike, the other alternatives it has a unique feature; it gives you separate listings of individuals and business ads. There is no need for signup for contact details, replying to the ad and reporting an ad. You can also save an ad if you want to. Adlandpro is a stunning website. It has classifieds, CPC/PPC ads, traffic exchange services, communities, and a blog; it also covers hundreds of countries. The UI is almost the same as craigslist. But to contact the seller you need to signup on the website and its mobile site is weird but it is useful. Geebo is a new platform and is really useful. 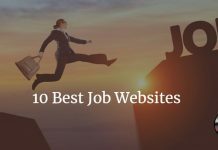 You can check out the top jobs just right beside the listings, browse communities, merchandise, construction, services, resumes, jobs, real estate, etc.